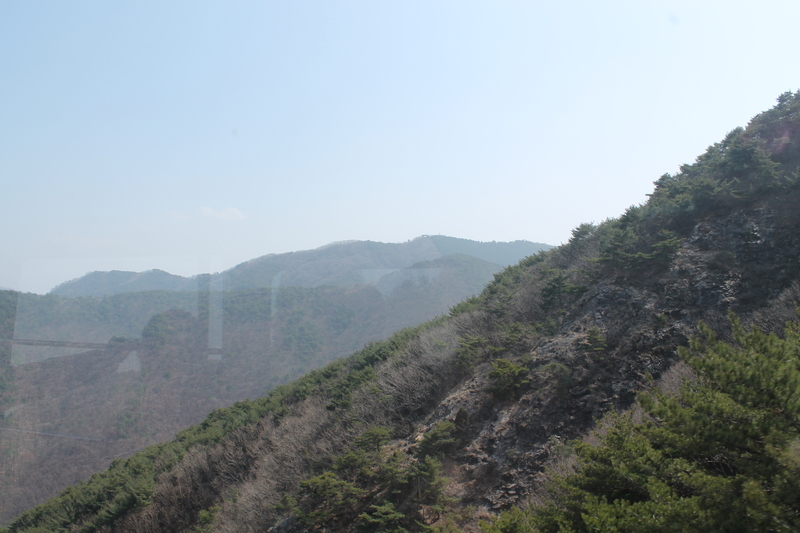 For those of you who don’t know, Korea is a very mountainous country. 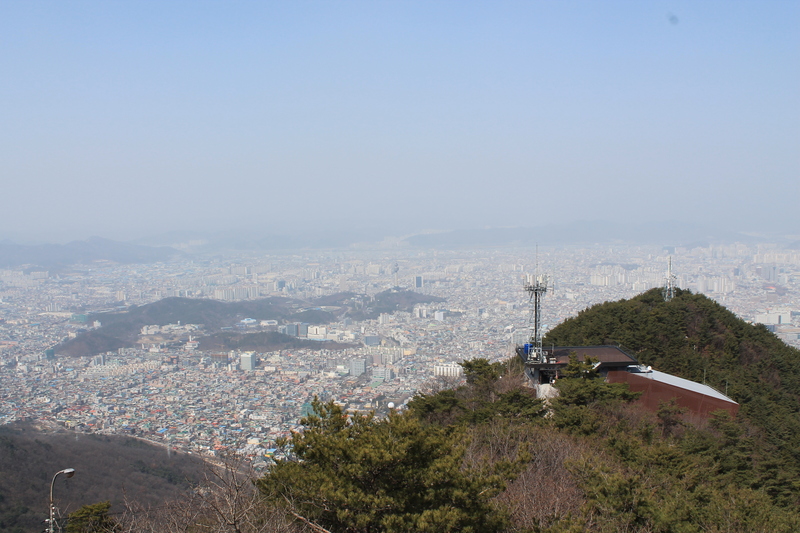 The city I live in, Daegu, is located in a geographic bowl surrounded by mountains on all sides which means any direction you look, you can see mountains in the distance (Well, theoretically. Often it’s too hazy from the air pollution to see them clearly). 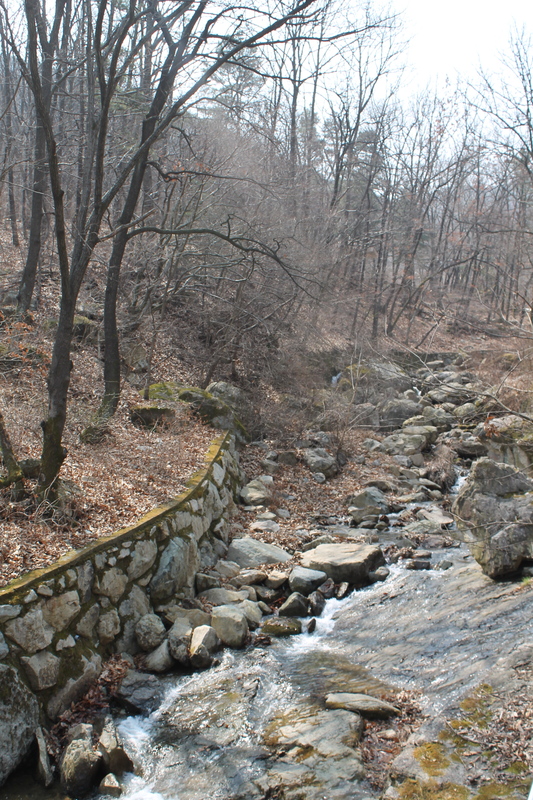 Hiking might just be the most beloved of all Korean past-times. After drinking. And noraebang (Korean karaoke). Koreans hike in style. If you are a Korean and are over 45, chances are that 75% of your wardrobe is professional-looking hiking attire. It is both a fashion and lifestyle statement. 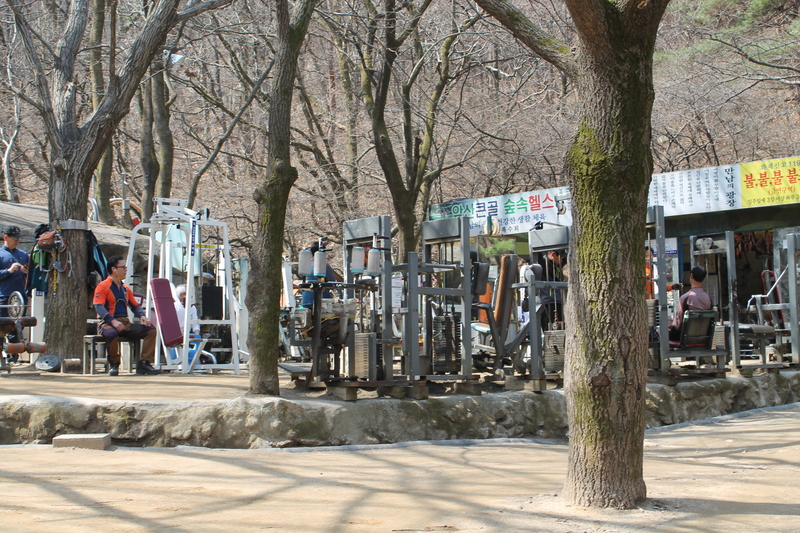 Koreans are also super into stopping to work out at these random outdoor gyms that are in public places everywhere you look. You can see an example of standard hiking attire on this gentleman here. 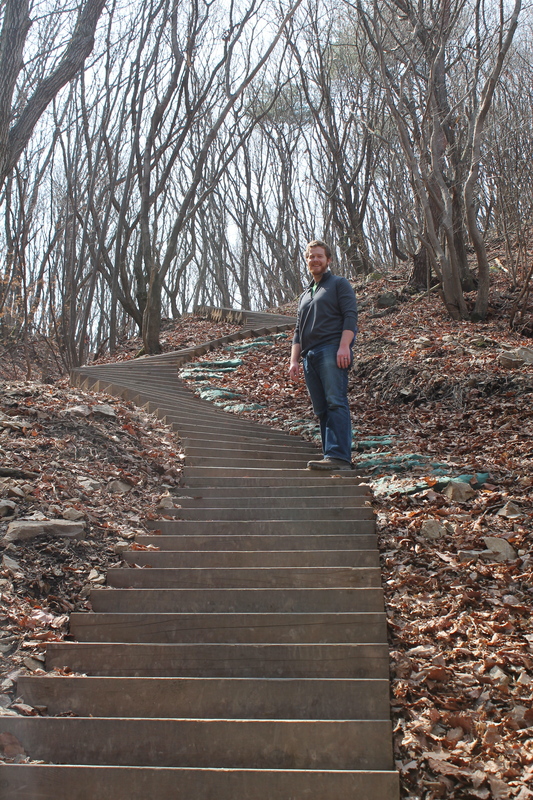 Jonathan and I both enjoy hiking and we’ve been waiting for weeks for the weather to warm up enough to make it pleasant. On Saturday morning we took off for our first hike of 2015. We decided to hike Apsan, one of the tallest mountains in the area which is located directly south of the city. 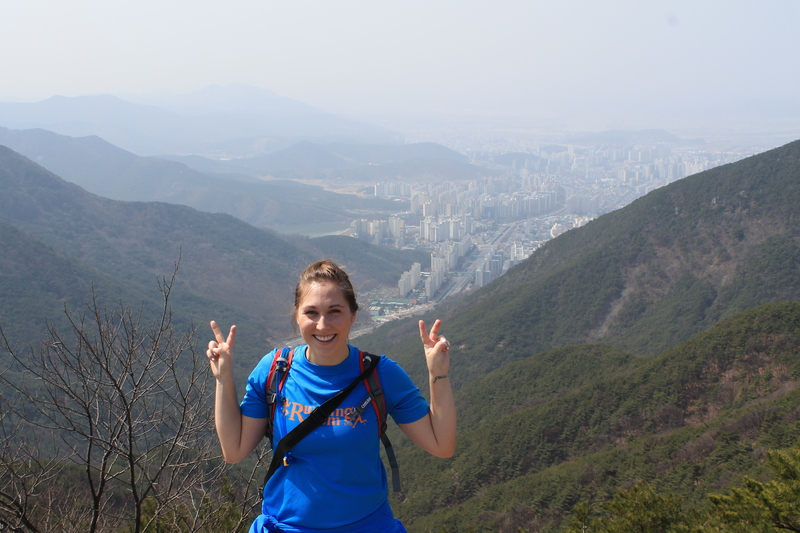 We’ve hiked Apsan twice (3 times?) before, but it’s one of the easiest mountains for us to get to since we can catch a bus right outside our apartment that will take us all the way there. Sadly, it’s not looking all that springy yet. The very first time we hiked Apsan we’d only been in Korea for a few months and were completely winging it on the directions. We came out at a nice peak, but not the one with the observation deck and the cable car. Each time we’ve climbed Apsan since then we’ve tried to take a different path so that we could arrive at the peak with the observation deck, but each time, the path we choose converges with the main path at some point and takes us to the same place we’ve been before. 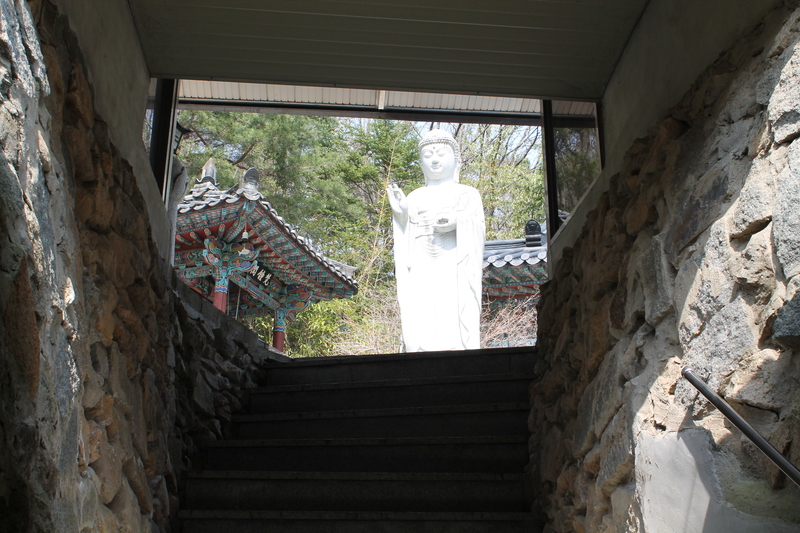 We stopped at this little temple along the path on our way up. 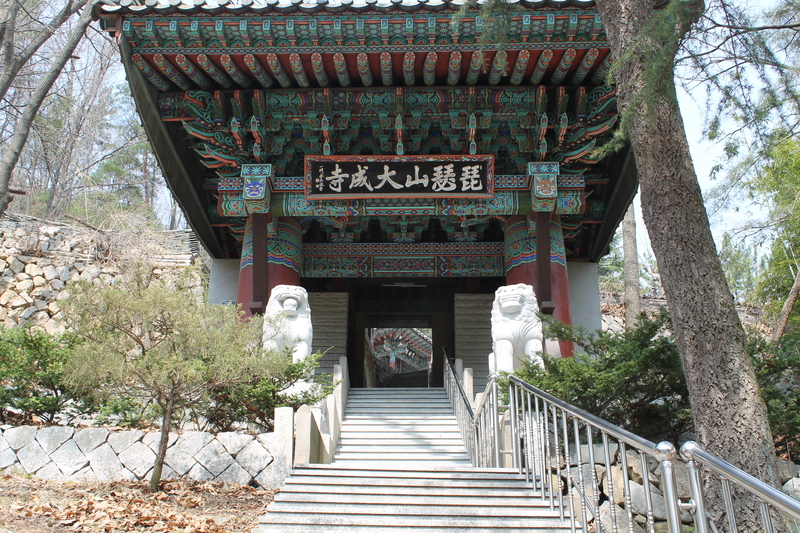 This basically looks exactly like every other temple in Korea, of which there are hundreds and hundreds. 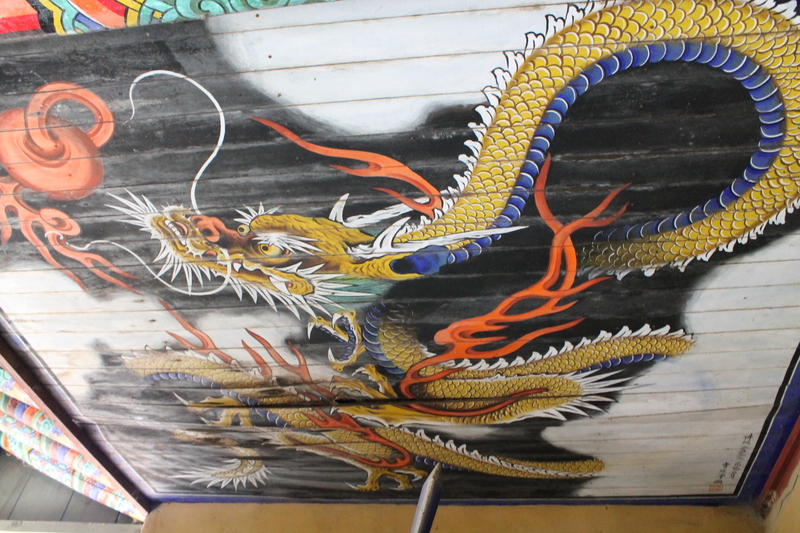 Cool dragon painting on the ceiling of the temple gate. My next tattoo? J/k. I wish I could say that we victoriously found an alternate path this time, but after hiking excitedly for 20 minutes on a path that looked brand new, this path also converged with the one we’ve always taken. This time when we got to the top we decided to hike across the ridges and over to the observation deck. 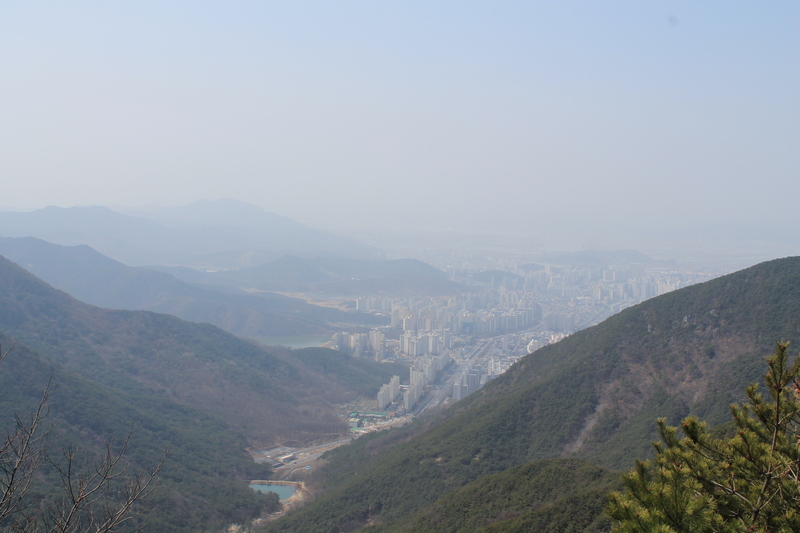 It took 20 – 25 minutes to hike over to the cable car and lookout point from the peak, but we eventually found it and were treated to a broader view of the city. Since we’d spent the additional time hiking across the ridge and I had a hair appointment to get back for that afternoon, we rode the cable car back down to the base. 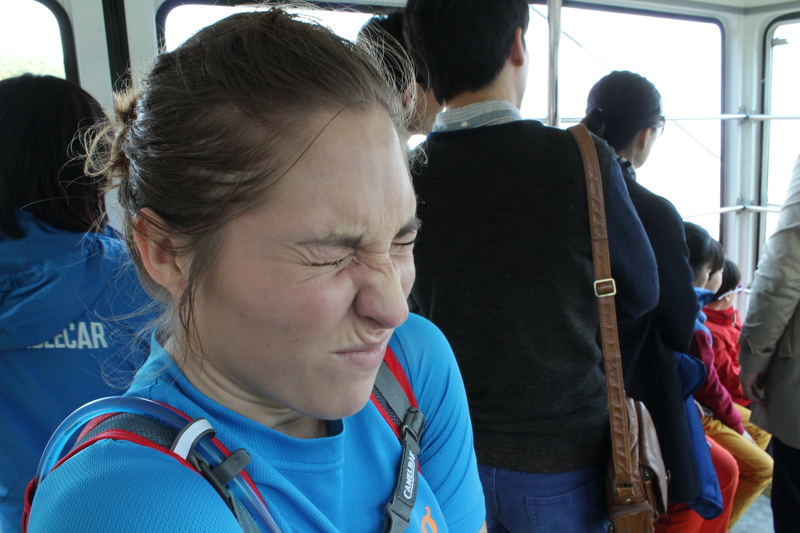 I am actually terrified of cable cars. I hate them with a passion. 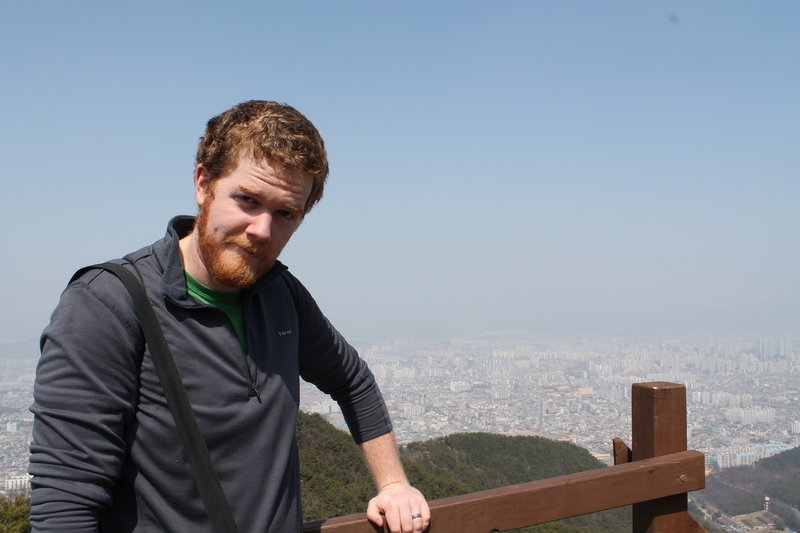 Nevertheless I have been in more cable cars in the last two years in Korea than anywhere else in my life. Go figure. Hate cable cars so much. This was the view from the cable car. Apparently. The air quality has been particularly poor lately since this is “yellow dust” season – the time of year when tons of pollution from China gets blown over into Korea’s air. I think this year has been worse than last year and I’ve definitely noticed my throat, chest, and eyes being really irritated lately. The cherry blossoms are starting to bloom which is always a brief, but beautiful time in Korea and we are looking forward to being outside more, so hopefully the yellow dust won’t stay for long. Last year we did so many of the big things – we traveled to most areas of Korea and attended quite a few festivals and things like that. This year we’ve been a bit more focused on saving money, but we do still want to be sure to do the things we haven’t gotten around to yet. In May we have two short trips planned to Tokyo and Taiwan, so we’ve also been keeping things a bit chilled out over the past few months to save for those trips, but we are trying to assemble our Korea bucket list now that we only have 5 months left here. It feels like both a long and a short time and I really hope we can make the most of it. If you have an adventure to share, add your link to the link-up by clicking the button below. You can participate in all of the adventures or you can just do a few – no pressure. If you missed last week’s adventure you can find it here. And if you are new to my Fifty-Two Weeks of Adventure project you can find out more about it here. I love this! I love your blog, Lily! I miss chatting with you on FB, maybe someday I’ll add it back! Thank you, Sara! 🙂 I always enjoy hearing from you! Nice! Where are you headed in 5 months? Unknown. Haha. Well, sort of known. We will definitely be back in the US and my husband will be pursuing an MFA there in fiction writing. We do not yet have an official decision about which program (and therefore which city) we will be in. You just brought back memories! I remembered when I was stationed in Korea! I was stationed a few miles away from there! Beautiful country!! Thank you for posting those pictures, I love the Temple!! I’m glad you enjoyed it! Thanks for reblogging! Glad you enjoyed this!